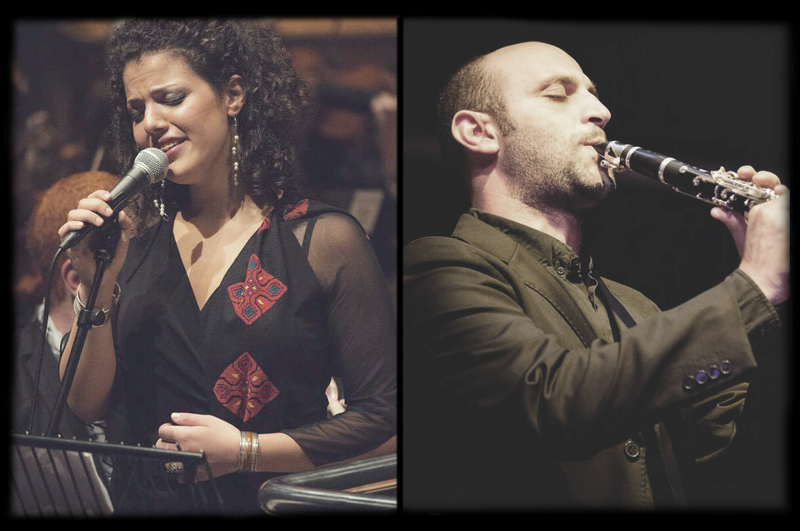 Moving seamlessly between Arabic music and Jazz, two of the most exciting musicians to emerge from the cultural renaissance in Palestine join on stage. Nai Barghouti captured hearts last year when she toured with the Palestine Youth Orchestra, at sold out concerts across the UK. This year, she returns with some of the most inspiring young performers in Palestine today. Members of the Awan Quartet, Palestinian street band Al Raseef, and top session musicians, join her in ‘Moments’, a specially curated cycle featuring well known Palestinian and Arabic songs and a couple of Nai’s original works. Mohamed Najem & Friends have quickly become favourites of the Paris jazz scene, performing in festivals throughout France including the prestigious La Defense Jazz Festival, as well as international dates in Qatar and Gabon, and Mohamed’s solo appearances in Germany, France and Switzerland. Featuring traditional Arabic instruments alongside standard jazz line-ups, both musicians move effortlessly between Arabic music and jazz, respelling the music of the Middle East in a new musical language. Palestine Jazz means a lot to me, not only as a musician but also as a Palestinian raised with the brutality of war. The wall, the checkpoints, the racism and the anger might set limits on our freedom, but honest dreams can never be broken. Bringing together some of the most versatile musicians in Palestine, and also from the Netherlands, Korea, Tunisia and Suriname, to blend the sounds of Arabic music and jazz is definitely one of those honest dreams. This tour represents not only our passion in music, but also our will to make a difference and overcome barriers. This has been an exciting year for our band. We’ve been performing all over France, but also in Gabon, and I’ve had solo shows in Germany and Belgium as well as in London and Birmingham. We’re proud to be supporting UNICEF and MSF in their work with people affected by the crisis in Syria, and to be sharing the show with some of the most exciting young musicians in Palestine, many of whom I have known personally for years. We are doing something different on this tour. It is exciting to be building on the work done by the Palestine Youth Orchestra last year, a special group that many of us were part of as performers and soloists. After being involved in the production of several Palestinian music tours in the UK and internationally, it became clear that audiences loved what they were hearing. Again and again, they wanted to be part of the tremendously positive energy they were experiencing. For this generation of Palestinian musicians, playing is never about turning up on stage just to deliver the music. There is a drive to be recognised on the international stage, an endless passion to show the wealth and depth of Palestinian music. Tariq Emam and I launched NiNi Productions not only to promote this rich Palestinian music, but also to raise funds for work with those affected by the crisis in Syria.